We’ve all been there. Either we’ve had a flat tire and ended up on the side of a road, or we’ve been out and about doing errands when our car won’t start, or we’ve skidded off the side of the road and ended up in the ditch. Vehicle breakdowns are a part of machinery. Yes, cars and trucks have come a long way since Henry Ford’s Model T, but in the end they are still machines that require maintenance and experience wear and tear. Dependability. Being stuck on the side of the road is about as fun as your plane being delayed. You are totally powerless to change your situation, and you’re at someone else’s mercy. You want a tow company who will show up when they say they will show up. 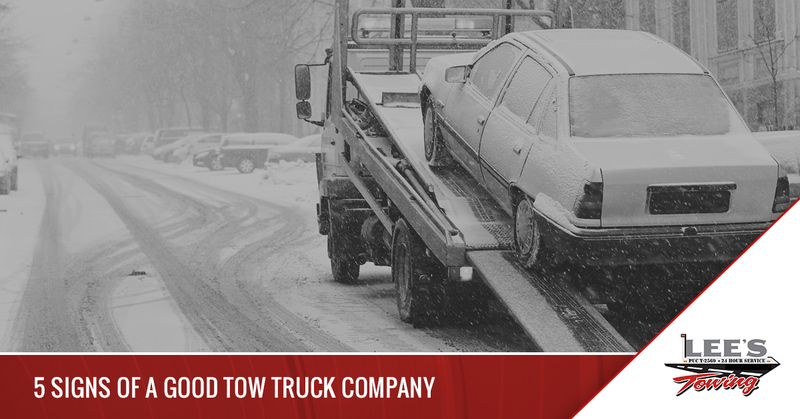 Most tow truck companies will give you an estimate on how long it will take them to get to you. Experience. You want a tow truck company and a tow truck driver to know what they’re doing. The last thing you want is an inexperienced driver showing up who does not know how to load your car to be towed. Nor do you want it rolling off the truck during transport. Friendly service. In the tow company business, this is often the only thing that sets tow truck companies apart. They all do the same thing: haul your car from one place to another when you need it. And a tow truck is a tow truck. It’s the nice person who answers the phone when you’re in a bad mood (you need a tow after all) and the friendly tow person who shows up and tells a lame joke to get you smiling! Affordable. You want a tow that’s reasonable. It shouldn’t cost an arm and a leg to get your vehicle to the place where it may cost an arm and a leg to fix. Most great tow truck companies have set prices they can quote you over the phone. Honest. You don’t want to have to pay more than quoted (unless the circumstances deem it) or feel like you’re being towed to an expensive car repair shop who gives kickbacks to the towing company. You want honest service with no shady business. Lee’s Towing is proud of its service record and efficiency rating. With over 30 years as a tow truck company, we show up when we say we’ll show up, and exceed your expectations. We are always courteous and do our best to make you feel at home. Our prices are competitive, and honesty is one of our founding virtues. At Lee’s Towing, the customer’s needs come first, and we stand behind our quality, efficient, and effective tow truck services. Contact us today for all your towing needs!